“The great Breakthrough in your life comes when you realise it that you can learn anything you need to learn to accomplish any goal that you set for yourself.This means there are no limits on what you can be,have or do” – Albert Einstein. Learning and knowing is the basic need of humans, and we are at the epitome of cultural awareness today. In this context, a novel initiation has come up in our city, which celebrates the knowledge sharing practises we have long forgotten. 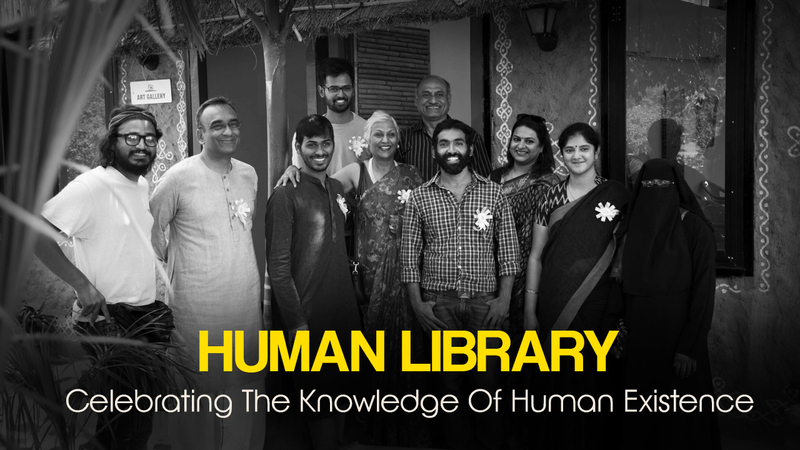 The initiative which goes by the name of Hyderabad Human Library Project makes Humans as Books, and brings people to interactive in an uninhibited environment, and just talk. 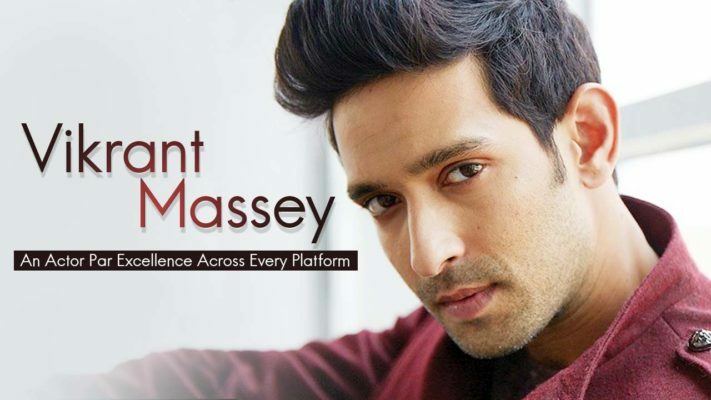 Obviously, we couldn’t let such an innovation go unnoticed, and therefore got talking to the curator of this movement, Harshad Fad, and got to know more about the project. Excerpts of it below..
Human Library is a place where books are replaced by human books (people), coming from varied backgrounds, which perhaps are attached to certain prejudices or stereotypes or interesting/unusual careers or simply have an interesting life story to tell. The visitors are the readers who check out the catalogue, and borrow one of the books, in the book depot for a limited time period which usually is 20 to 30 minutes. Anybody can be a book! But they should come from a background that is representing one of the categories mentioned above. Hence, there are no specific qualities we look for in a human book, other than their will to share their story and leave a positive impact on their readers. 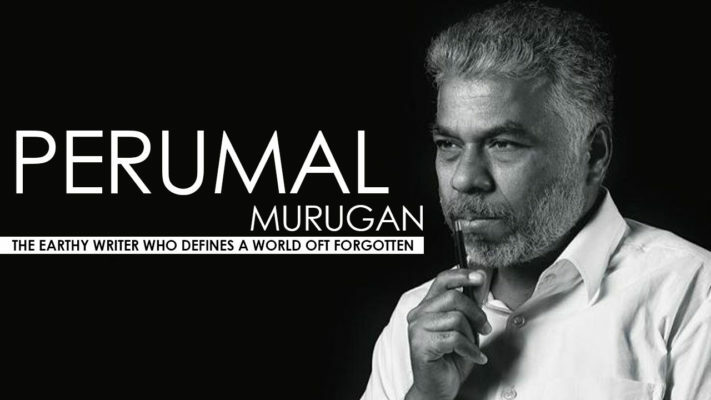 Human Library is a relatively new concept in India, however, we have hundreds of human libraries already operating in Europe and the US. In fact Australia was the first country to have a permanent human library! 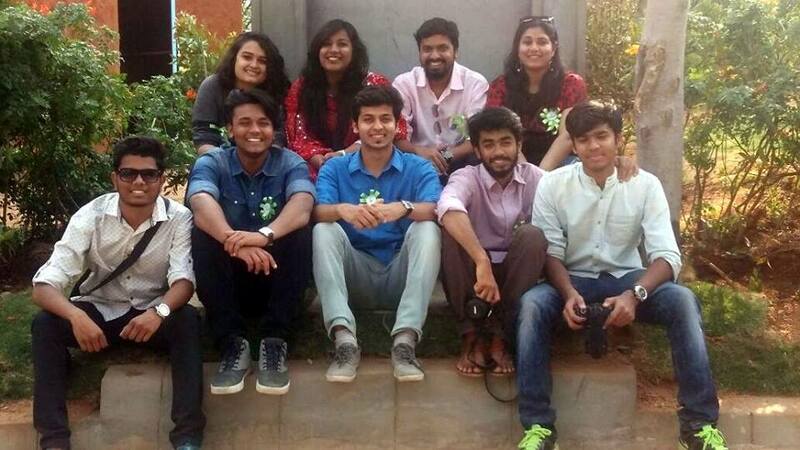 In India, Indore is the first city to bring the concept of human library in the country. The one we are organising will be the only second city in India. Started in 2000 by Ronnie Abergel at Copenhagen, Denmark, Human Library is a worldwide phenomenon now. 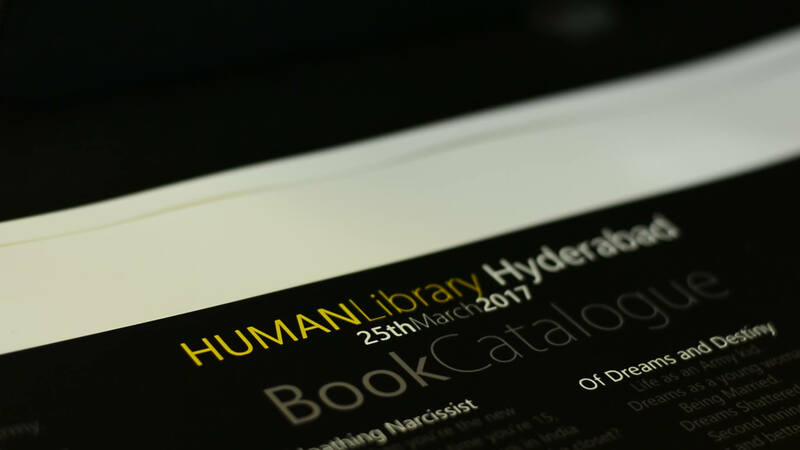 Human Library Hyderabad is an independent event organised by me with the help of friends from my college. I went through the Human Library organisations guidelines to organise this one. As I mentioned earlier, Indore has had a Human Library event before. Hyderabad would be the only second city in India for it. However, I haven’t participated any human library event before. Ironically, this is the first time I’ve associated with it and organising it. Overcoming Reservations And Appealing To Everyone..
A one on one conversation can appeal to any introvert in search of answers and knowledge on certain stereotypes or careers. 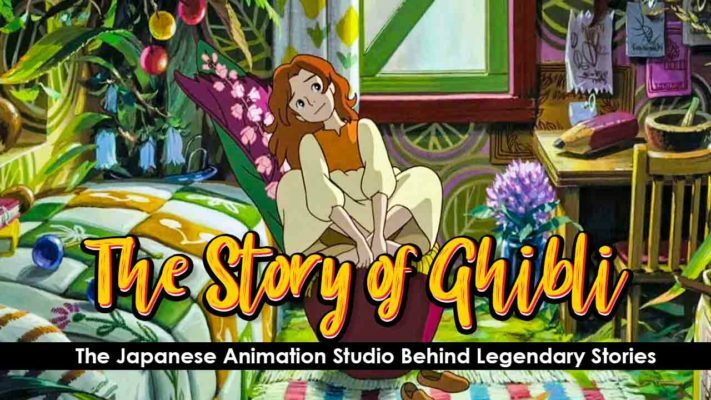 Also, the cultural scene of Hyderabad is pretty active with places like Lamakaan and Phoenix Arena having so many artistic and creative programs going on every day! Given the unique concept of the human library, it is a natural crowd puller. And we saw that with our event, where there wasn’t a single dull moment. Every reader gets a time of 20 to 30 minutes per book per session. Human Library is a place where difficult questions are expected and answered, hence it is more deeper of a conversation. The readers might borrow a book just out of curiosity or they can relate to them or they might want to confront their prejudice. I am not aware of LICH. If there are more frameworks like human library, that’s a great thing for the society. For bridging the communication gap is the most important aspect of building a tolerant nation. If we talk to each other, only then we will be able to know each other. We had a wonderful response for the first every HLH event! And everyone is looking forward the next event. 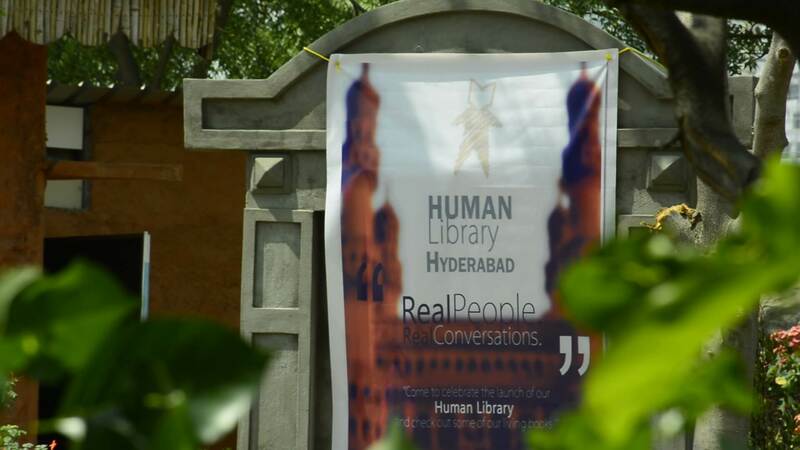 I believe the city of Hyderabad is going to see another Human Library Hyderabad event very soon. 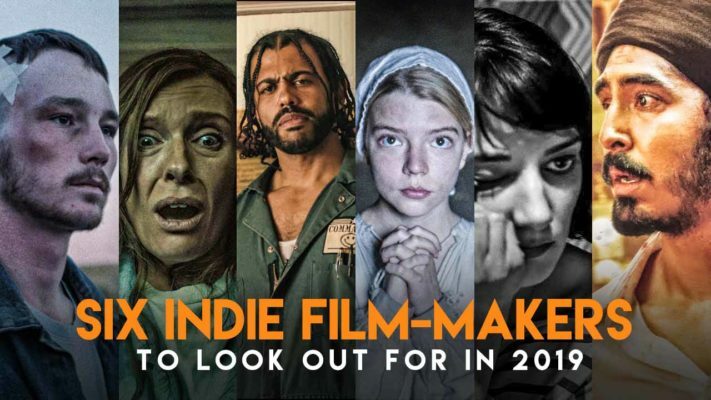 Hopefully in April. So that was Harshad and his thoughts on making our society a more knowledgeable place to live in. We wish him best regards, and until next time, Ciao..! !